ISLAMABAD . : The government has finally woken to mismanagement in the affairs of the National Testing Service (NTS) and decided to bring the service under its control to make it a transparent, accountable and state-run testing body. The NTS is a private organisation that conducts hundreds of tests for admission in educational institutions and appointments in government organisations. It was launched as a project of Comsats, a subsidiary of the Ministry of Science and Technology during the Musharraf era as non-profit organisation registered with the Securities and Exchange Commission of Pakistan. Mired in corruption and wrongdoing, the NTS has finally got the government’s backing in order to put an end to the controversies surrounding the testing service since 2014. Different senior officials privy to the development in the Higher Education Commission (HEC) and Comsats University have confirmed to The Express Tribune that “talks are underway to put government’s tag on the NTS”. “Yes, we are in talks with the HEC after getting directives from the Ministry of Science and Technology (MoS&T) to bring it under the government remit,” a top official of the university told The Express Tribune on the condition of anonymity due to the sensitivity of the issue. He added even the HEC told them to change the status of the NTS, otherwise, it would not be possible to continue with arrangement of carrying out scholarships and other entry tests with it. The HEC has announced abandoning its own testing service – Education Testing Council (ETC) – and give away all such tests for official scholarship and other programmes to the NTS but after the proposed decision. The Comsats Institute of Information Technology (CIIT) official said discussions were underway to bring it under the Federal Public Service Commission (FPSC) or some ministry or give it under an autonomous body like the Pakistan Engineering Council and other such councils. The FPSC is the top recruitment body of the country for officers of grade 16 and other cadres. “It is good that it [the matter] gets settled and somebody gets its ownership to not only give it a secure status, but also spare Comsats the unfair criticism it receives for the wrongdoing of the NTS,” said the top official. CIIT Rector Raheel Qamar confirmed to The Express Tribune talks were being held about the fate of NTS but refused to share further information, stating he would be in a position to comment once the BoD came up with something concrete. An HEC official, who also requested to remain anonymous, also confirmed the development and said it was for the good of the entity. “The plan is to have same test(s) for one admission, job, etc., across the country without any hassle,” he said. The official stated that the news about National Accountability Bureau and Federal Board of Revenue raids on the offices of the NTS and the auditor general’s scathing report about its mismanagement were also some of the reasons the testing service needed to be brought under the state’s umbrella. Earlier this month, the MoS&T told the Senate that currently there were 22 testing and assessment services providers in the country and most of those were private limited companies with private individuals as their owners. Since its inception and till 2018, the NTS had administered 7,055 tests and assessments in various disciplines in which more than 18.7 million candidates appeared. In 2014, the Lahore High Court had directed the HEC to start its own testing service. The HEC had failed to come up with any official notification or memo that would have allowed the commission to let the NTS administer various tests. 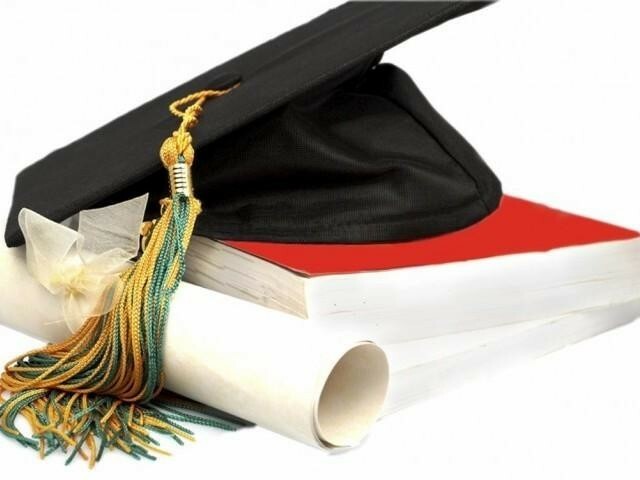 The NTS has been conducting tests for admission to universities and various HEC scholarships since 2002 on a verbal order of the then HEC top management. The NTS received a serious jolt when in 2015 its chief operating officer (CEO) and pro-rector of the then CIIT (now university) Haroon Rashid turned out to be a plagiarist in his PhD thesis. The university later removed him from his positions while the university revoked his degree awarded to him in 2006. The auditor general also found in 2015-16 that the NTS was functioning without financial and other rules while the audit objections of millions of rupees have yet to be addressed or replied. Besides, the NTS has been under discussion in parliament, the Public Account Committee and parliamentary standing committees.